If any of the brake pipes exhibited any of the conditions listed, then the identified pipe, or pipes, require replacement. Ensure that the vehicle axles are correctly supported at ride height in order to maintain the proper relationship of the flexible brake hoses to the chassis. If any of the flexible brake hoses exhibited any of the conditions listed, then the identified flexible brake hose, or hoses require replacement. 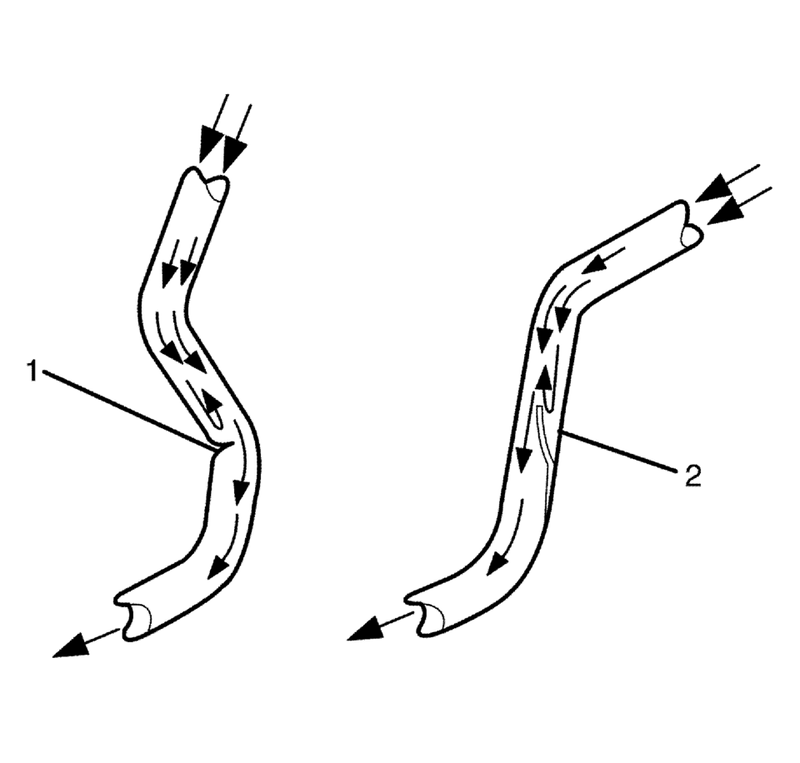 Squeeze the flexible brake hoses with firm finger pressure to inspect for soft spots (2), indicating an internal restriction. Inspect the entire length of each flexible brake hose. If any of the flexible brake hoses were found to have soft spots (2), then the identified flexible brake hose, or hoses require replacement.